EA Sports announced on Monday, June 5 that Ronaldo will grace the cover of FIFA 18, which will be released later this year. It will pit him against Barcelona rival Lionel Messi in yet another category, as the Argentine has signed up to appear on the cover of Konami's Pro Evolution Soccer. FIFA's popularity has soared in recent years, however, with its Ultimate Team game mode making it the dominant force when it comes to football games. With anticipation for the new release already high, here is our complete guide to what we know and what to expect. 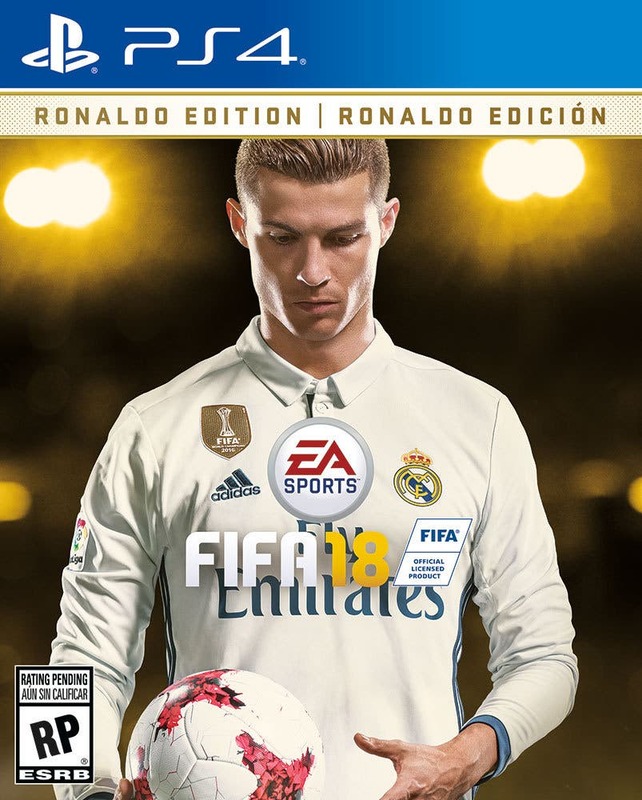 The first is to pre-order the 'Ronaldo Edition' or 'Icon Edition', priced at £79.99 ($79.99) and £89.99 ($99.99) respectively and packed with bonus Ultimate Team content. They will be available to play on Tuesday, September 26, which is in line with EA's knack for going live on a late Tuesday in September. If that's not soon enough you'll need to sign up to EA Access (Xbox One) or Origin Access (PC), both of which cost either £3.99 ($4.99) a month or £19.99 ($29.99) a year. That will get you 10 hours of trial play time from Thursday, September 21. If you're a PlayStation 4 player, the September 26 date is the earliest you will be able to play. HOW MUCH WILL FIFA 18 COST? As mentioned, the special Ronaldo and Icon Editions cost £79.99 ($79.99) and £89.99 ($99.99) respectively. The standard version, meanwhile, will be priced at £54.99 ($59.99) - £5 more expensive than FIFA 17. It's likely those prices will drop, though, as the game nears release and retailers compete for sales. It's confirmed - FIFA 18 will be available to buy on Xbox 360 and PS3 as well as Xbox One, PS4, PC and the new Nintendo Switch. There was some doubt as to whether EA would bother with the older consoles this year. That's because the new Frostbite engine is too powerful for them to run, resulting in watered down versions of the game missing some key features such as The Journey. Once again, the PS3 and Xbox 360 versions will not match up to their PS4 and Xbox One counterparts and will not include The Journey, but they will, at least, exist. The Nintendo Switch version of the game will not run on Frostbite either, which is a blow to FIFA fans who were hoping to finally be able to play the game at its full, comprehensive best on a Nintendo platform. EA are insistent, however, that they have built a worthy title for the new console and have revealed that in place of Frostbite, the Switch edition has its own, custom-built engine. A lack of Frostbite means a lack of The Journey, which is a significant omission, but the potential for Switch players to take Ultimate Team on the go and open packs wherever they can find an internet connection is intriguing. WHEN CAN I PRE-ORDER FIFA 18? You can pre-order FIFA 18 right now. It's available to buy through the official channels such as the PlayStation and Xbox stores - find the PS4 , Xbox One and PC versions at these links - and also with a few of the major retailers, with more set to follow soon. You can also snap up the 'legacy' versions for PS3 and Xbox 360 now for arrival on release day. The choice of FIFA 17 cover star came down to a fan vote (won by Marco Reus), but this time EA has gone straight ahead and picked one on its own - and who can blame them when it is Cristiano Ronaldo? Ronaldo has been announced as the 'global' cover star, meaning there is a possibility a vote will still happen in each region to pick a second, more local athlete. With Ronaldo's appeal worldwide and his probable lack of enthusiasm for sharing the cover, however, we wouldn't bet on it. We can also safely assume that Ronaldo will retain his status as the game's highest-rated player in the wake of this news. The only other player you're likely to see on the cover is Ronaldo Nazario, who appears to have bagged the front of the Icon Edition . 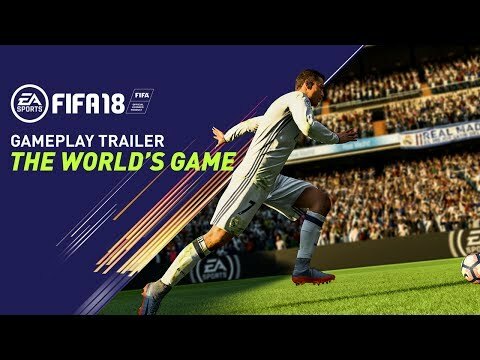 WHAT NEW FEATURES ARE IN FIFA 18? There are one or two new features we know about specific to certain game modes, which you can read about further down this page. In terms of major new components that affect the entire game, however, we're still mostly in the dark and it is likely there will not be many dramatic alterations from FIFA 17. Given this is EA's second year with the Frosbite engine at their disposal on FIFA, you can probably expect to see continued progress in terms of the overall quality and realism of the game rather than a massive overhaul. That is hinted at in the game's first trailer, which alludes to the improved accuracy of player and team styles of play. One potential feature that has also been talked about regularly is the introduction of dynamic weather - that is, weather that changes during a match and impacts how the game is played. This has been integrated into other EA titles such as Battlefield and Mass Effect since the switch to the more advanced Frostbite engine, so it would make sense for it to be added to FIFA, too. As former Battlefield producer Patrick Bach explained: "It’s not only a pretty effect, it actually changes the way you play the game." Yes, it will. After a successful debut, The Journey is back for another year and so is Alex Hunter. EA released the first trailer for the second edition of the game's newest mode on June 10 and it was a star-studded affair, featuring a number of players, coaches and pundits speculating as to Hunter's future. From the video, it looks like we can expect to have to decide whether or not Hunter should agree to a transfer ahead of his sophomore season and there is also a glimpse of a meeting with Cristiano Ronaldo. In FIFA 17 you could only play as Hunter with a Premier League club, but that looks set to change this year. EA has previously confirmed that new characters and storylines will feature in The Journey on FIFA 18, but it always seemed probable Hunter would be back as the protagonist given the way the 17 story - spoiler alert - ended rather abruptly at the conclusion of his first season. WHAT’S NEW ABOUT ULTIMATE TEAM? The biggest news here so far will be of most interest to PS4 and PC players, and concerns the replacement of 'legends' with cross-platform 'icons'. The availability of retired players of days gone by exclusively on Xbox One in FIFA 17 will be shared across all consoles this year and rebranded as a result. The first to be revealed, as mentioned, is Ronaldo Nazario, who will grace the cover of the special 'Icon Edition' of the game now available to pre-order. The Icon Edition comes with a five-match loan card of the elder Ronaldo to get you started. You'll also receive the same five-match loan card of Cristiano Ronaldo, giving you one hell of a front two to kick things off with. We're sure more will follow when it comes to FIFA's most popular game mode. WHAT NEW LEAGUES WILL BE IN FIFA 18? Nothing confirmed here yet, but the most likely addition is the Chinese Super League due to the number of high-profile stars that have headed east in recent months - and the potential for more to follow. A recent poll of FIFA fans showed that the CSL, the Indian Super League and the German third division were most in demand, but there are no guarantees they will be chosen. WHEN WILL THE FIFA 18 DEMO BE RELEASED? The FIFA 17 demo was released approximately two weeks before the full game came out, so you can expect to be getting your first taste of FIFA 18 sometime in early to mid-September. WILL FIFA 18 FEATURE VIRTUAL REALITY? Anything you read on this front is purely speculation at the moment, with EA giving no indication VR will be a part of FIFA 18 despite the early success of the headsets as they hit the market and begin to influence gaming. It's easy to imagine a VR future for FIFA - especially now a more cinematic mode like The Journey is a reality. There has not been much indication it is a priority, though, and it's hard to see the core of how the game is played changing given the boom in competitive gaming. Copyright © 2017 Goal.com All rights reserved. Inside Story - MERS: Who owns medical research?